New Books, New Class, New Season, New Teachers. Yes! this is the School/College Season. I am sure you guys will be excited for the School/College this year. there are many things which we usually have from last year purchase which we can recycle & reuse it. One of the things from them is Paper Clips. 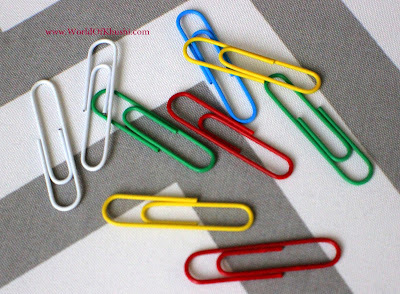 Paper Clips usually stays with you for many months or years and are pretty monotonous in looks. 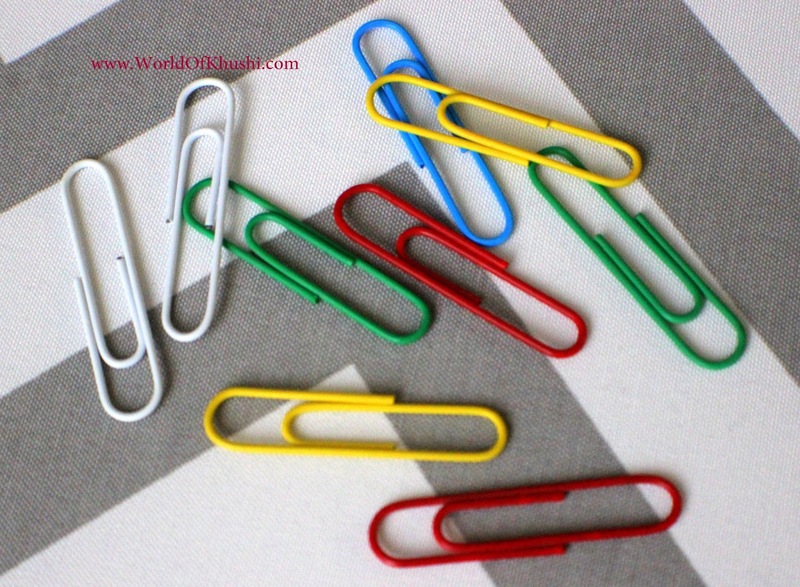 This for today's post we will be preparing something different from the Paper Clips. I named it as DIY Heart Paper Clips. Heart Paper Clips are very simple & an easy way to Jazz up your regular Paper Clips into Heart Shaped Paper Clips. I really enjoyed making them & hope you will love it too. Step 1. Take a paper clip as shown in the picture below. Step 2. 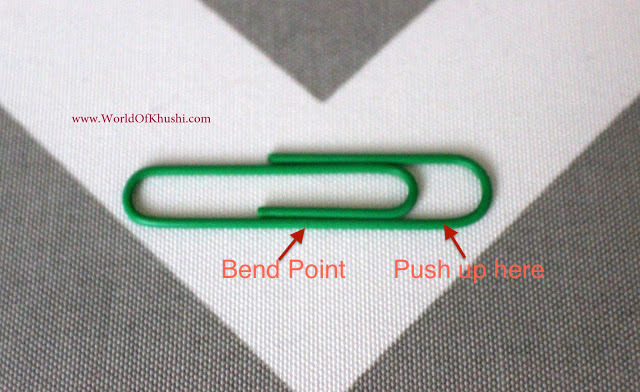 Hold the bend point (see picture) with one hand and using other hand bend the clip from one end. 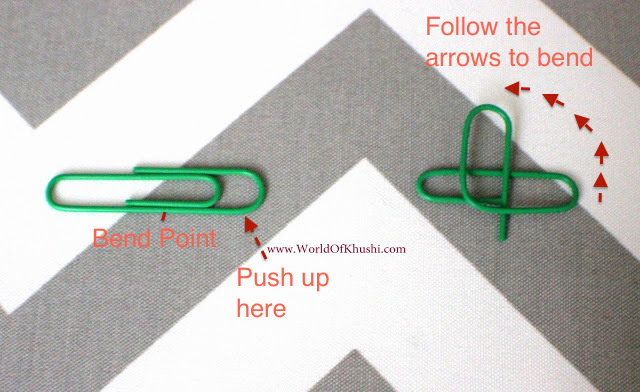 The arrows below shows how to bend the clip. Note :- Even if you are not able to perfectly bend the clip don't worry. If you keep trying you will be able to easily bend the clip in some tries. Step 3. You can take as many clips as you want with any color. Keep making heart shape from the clips. Thats it you are done !! Your beautiful Heart Shaped Paper Clips are ready. As show in below picture. I hope you like this easy DIY! It hardly takes 2 mins. 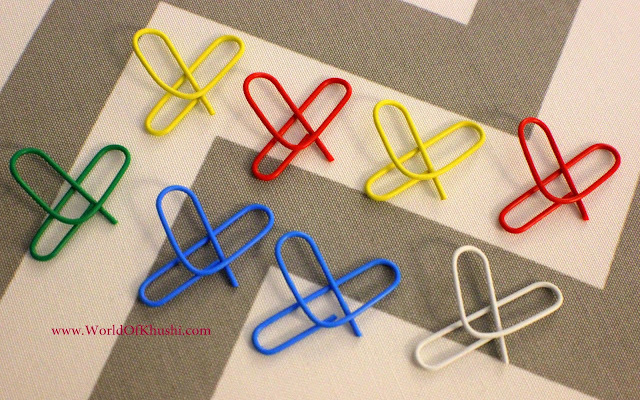 Jazz up your normal paper clips with this DIY. Do try & share your recreations with me #KhushisWorld.